Despite successful efforts to reduce the overall homeless population by nearly half in the last decade, the national number of female veterans who are homeless or at-risk of becoming homeless is increasing. DENVER — For decades, Navy veteran Leslie Sanchez suppressed traumatic memories of an incident that harmed her early in her military career. “I put them in a box, and I locked the box, never to open it,” Sanchez said. 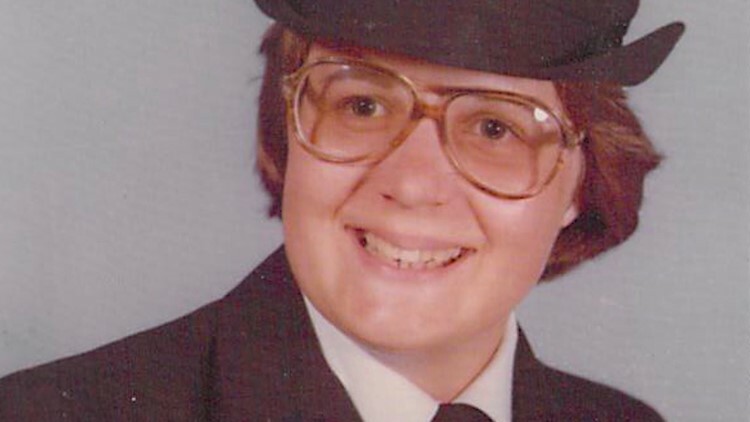 At 19 years old, she was raped and impregnated by a fellow sailor. The stress of a home burglary brought back the emotional pain. Sanchez’s assault went unreported and her trauma untreated. For months after the break-in, Sanchez was emotionally paralyzed, unable to leave her home. She lost her job and was eventually evicted. She became homeless, living out of her car for the next four years. Navy veteran Leslie Sanchez suppressed traumatic memories of an incident that harmed her early in her military career. Fast forward several years, and Sanchez became homeless again when she couldn’t afford the large rent increases that are common in Denver’s red-hot housing market. Now, she is living in a shelter for homeless female veterans. Sanchez is one of the 628 veteran women in Colorado who are homeless or at-risk of being homeless so far this year, according to the U.S. Department of Veteran Affairs. Despite successful efforts by the agency to reduce the overall homeless population by nearly half in the last decade, the national number of female veterans who are homeless or at-risk of becoming homeless is increasing. It’s projected to jump 9 percent, from 36,443 in 2015 to 39,686 by 2025. Homeless female veterans face unique challenges that differ from their male counterparts. For example, one in four women report experiencing sexual harassment or assault while in service, according to VA. 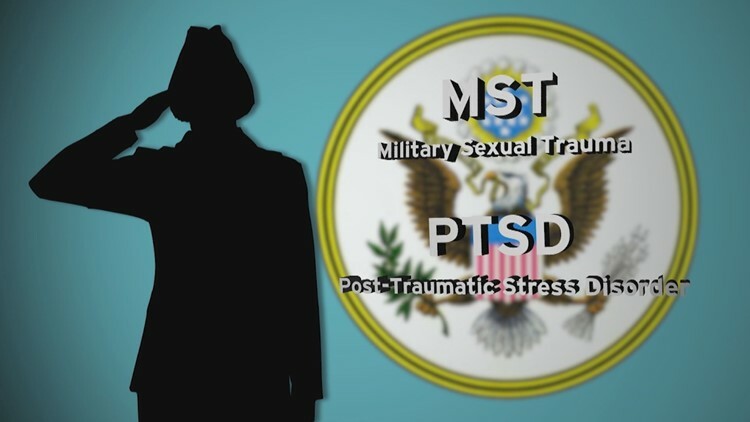 These incidents, known as military sexual trauma, has been linked to mental health conditions, including post traumatic stress disorder. Both MST and PTSD are known risk-factors for homelessness. The national number of female veterans who are homeless or at-risk of becoming homeless is increasing. It&rsquo;s projected to jump 9 percent, from 36,443 in 2015 to 39,686 by 2025. Advocates like Brenton Hutson, division director of veteran and supportive services at Volunteers of America Colorado, acknowledges the VA’s recent efforts to address gender-specific risk factors, but says there still is more to be done. Hutson says the numbers of homeless female vets in Colorado are likely much higher, particularly in rural parts of Colorado. 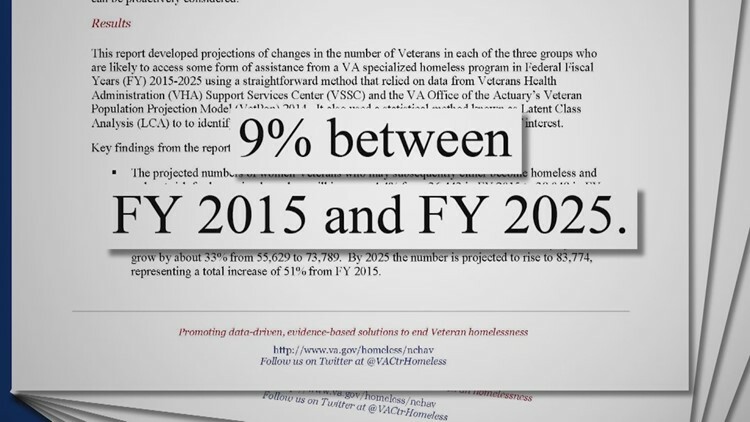 The nonprofit VOA independently keeps track of the number of women veterans in Colorado who identify as homeless or are on the brink of it. The data gap is one that Michelle Lapidow, section chief of homeless programs at the VA Eastern Colorado Health System, is trying to bridge. The VA funds several programs to house female veterans, including short-term and long-term housing. The latter program, known as supportive housing, provides shelter to homeless veterans for up to two years. This had been the VA model, but effective October 2017, the agency is shifting to short-term housing, not to exceed 90 days. Currently, there are only two shelters in Colorado exclusively for homeless female veterans, both funded by the VA and managed by Volunteers of America. The two shelters – a three-home property known as the Claremont Commons and a family motel, both in Denver -- can collectively house up to 22 female veterans and their children at any given time. Veteran Leslie Sanchez, who currently lives at Clermont Commons, says this capacity is not nearly enough. Sanchez advocates for more preventative services, like gender-specific mental health therapy, to support female veterans in crisis before they reach the point of homelessness. Lapidow of the VA echoes that concern. Meanwhile, Sanchez is moving out of the all-female veteran shelter and into her own apartment. Her new home will be subsidized through a HUD-VASH voucher, a program that provides rental assistance from the Department of Housing and Urban Development and case management from the VA.